Emmy Kegler (Religion Beyond Belief | April 2019). Posted in Featured Article. I was sixteen the first time I was warned my sexuality was incompatible with my salvation. I was eighteen when I watched Bishop Gene Robinson consecrated as the first openly gay bishop of the Episcopal Church, his alb ill-fitting over the bulletproof vest necessary because of how credible the death threats against him had become. I was nineteen when I threw myself into my campus pastor’s office chair and grumbled that I thought I had a call to ministry. Twenty-five when I started seminary, twenty-nine when I graduated, thirty-one before I would find a congregation I could safely call my pastoral home. I’ve seen pastors scream at volunteers till the veins in their neck stand out over some Sunday School programming infraction. I’ve watched youth ministers undermine their seniors, and seniors rule with an iron fist unseen to the kids and adults who love them. I know too many pastors (one is too many, and I know far more than one) who crossed emotional and sexual boundaries with colleagues, and subordinates, and members of the congregation, who were quietly moved to a new church. I worked in customer service at a church supply house for three years; there are churches and pastors, in the same denomination I serve, whose names still give me chills because of how aggressively they reacted when we dared charge them the cost to ship two pallets of new hymnals. Yet I am lucky. I was raised in a family that loved me and a congregation that supported me. When I came out at sixteen, there was no question for my home church about whether I’d be welcome. When I started my major in religion at nineteen, the majority of my classmates cheered me on and elected me to leadership positions. I had the financial and emotional capacity to wait until I found a congregation I could serve. I have never been sexually assaulted within the walls of a church. I have been lucky. I am lucky. Although “luck” seems like such a low bar. I don’t know why I stayed, at sixteen and nineteen. A white chick from the ‘burbs, a daughter of a university VP, I wasn’t destined to know a lot of suffering nor to long to be freed from it, in this life or the next. A narrative of liberation for the oppressed, the rich trod down and the hungry filled, of a brown-skinned Jewish savior whose ministry was such a threat to both the religious and political authorities of his day that he died in state custody with his hands up: at the heart of it, the gospel is a gospel not of good news but of warning for people like me. I don’t know why I stayed, at twenty-five and twenty-nine and all the years in between, when strangers on the Internet or classmates in the row behind me felt the deep spiritual need to remind me of verses like Romans 1:26 or 1 Timothy 1:10, as if all my Bibles had left those lines blank and all my religious professors had never mentioned them. I can read koine Greek, the language of the New Testament. I can muddle through Hebrew, if it’s pointed and I have a vocabulary guide at hand. I know what the words say, about me, about “people like me.” I don’t know why I stay and let people remind me. But I know that I missed it when I stayed away. Fresh out of seminary and free, for the first time in many years, to sleep in on a Sunday morning, I managed two months before I felt too unmoored to continue skipping church. What might be defined as “religious belief” did not waver in that time. I could still confess, as much as today, to the core tenets of Christianity, to the resurrection of the body of Jesus of Nazareth, to his presence with us in the breaking of the bread. I still read my Bible, and picked up my litter, and tried to act as if everyone was a child of God, and confessed each night my inability to do it well or even at all. But neither theological assent nor spiritual practice was enough. “Religious belief,” for me, was not enough. I needed to go back to church. And then I needed to stay. I needed to stay to make space for others like me. The misfits, the oddballs, the overeager nerds, the new kid who never puts the salt and pepper shakers back in the right place after Wednesday night dinner but, by God, she is trying. I needed to stay for the girls who know what it’s like to have men yell at them because they think they can. For the queer teen trapped in a corner by a flatly smiling youth leader telling them over and over to pray the sinner’s prayer. For everyone pushed to the edges for asking too many questions. I needed to stay for everyone who isn’t wanted but still wants to be there. I needed to stay for the other millennials, the rest of the young adults, all of us going to Sunday brunch or staying in bed to read the New York Times and otherwise giving up on our religious belief. I needed to stay for all of us who are “bad at church.” We’re drowning in collegiate debt and an evaporating job market, which makes us skittish about (or unable to afford) pledges. We bounce from bad rental to bad rental when our mortgage applications are denied for unmanageable debt-to-income ratios, and from city to city dependent on where we and/or our partner can find a livable wage; both compromise our ability to attend any congregation for the long term. We work weekends and night shifts and multiple jobs, which makes us poor candidates for regular Sunday morning attendance, much less scheduled volunteer roles. I needed to stay for those of us who can’t do church “right” but so, so want to belong anyway. I needed to stay for the rest of the white women who are repeatedly waking up to the privilege we’re afforded, learning and unlearning and relearning how easily we became complicit in the subjugation of others. I needed to stay alongside Joanna and Mary Magdalene, the women of means who recognized that there was good news for them too in this ministry among the poor and outcast. I needed to stay for everyone like me who needs to be freed from themselves. I need to stay for the unpredictable moments: for the couple who comes because we’re the first church in a mile radius that has the worship time on our website; for the college kid who keeps coming back because we gave away our old glassware on the same day she realized she didn’t own any; for the babe I baptized, now old enough to wander up beside me during prayers and wave gently at a congregation that, adoring, waves back. I need to stay because I know what it’s like to ask the wrong questions and to know it’s the question that desperately needs to be asked. 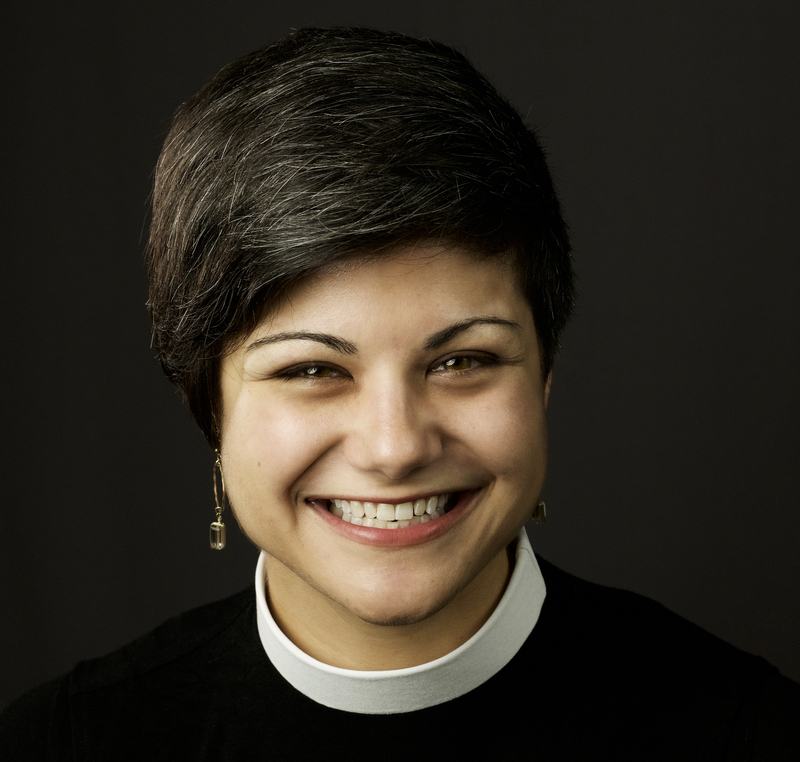 Emmy Kegler is the pastor of Grace Lutheran Church in Northeast Minneapolis and the founder and editor of Queer Grace, an online encyclopedia of resources about LGBTQ+ and Christian life. She is also a co-leader of the Queer Grace Community, an outreach ministry by and to LGBTQ+ Christians in the Twin Cities. She lives in Saint Paul with her wife Michelle and their two dogs and cat. Her first book, One Coin Found: How God’s Love Stretches to the Margins was published April 2019 by Fortress Press. Find her on Twitter @emmykegler. Featured Image: Pixabay from Pexels. No attribution. CC 2.0 license.